I love a craft that involves a free printable, a cello bag and some candy. My sweet friend Kelli over at 3 Boys and a Dog made me this awesome printable that I am offering to my readers for free! 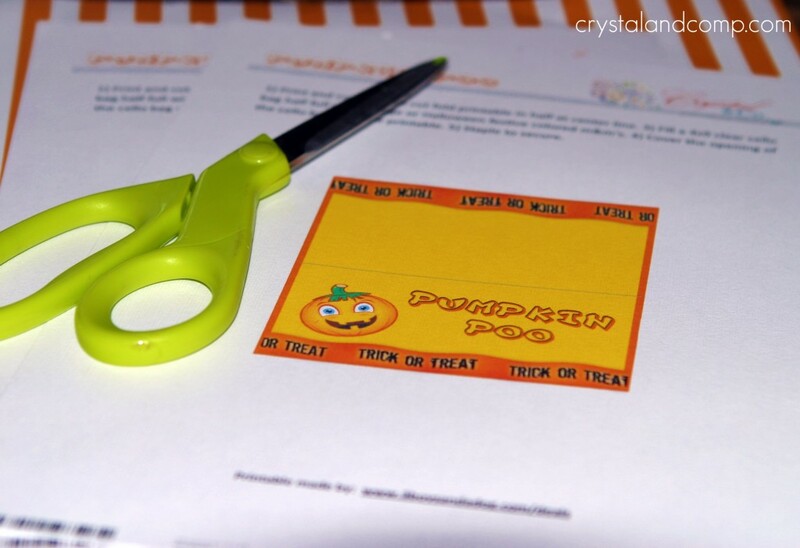 Are you on the lookout for some printables for your site, but just do not know how to make them? Get in touch with Kelli, her prices are very affordable! I used scissors, feel free to use a large cutting board. 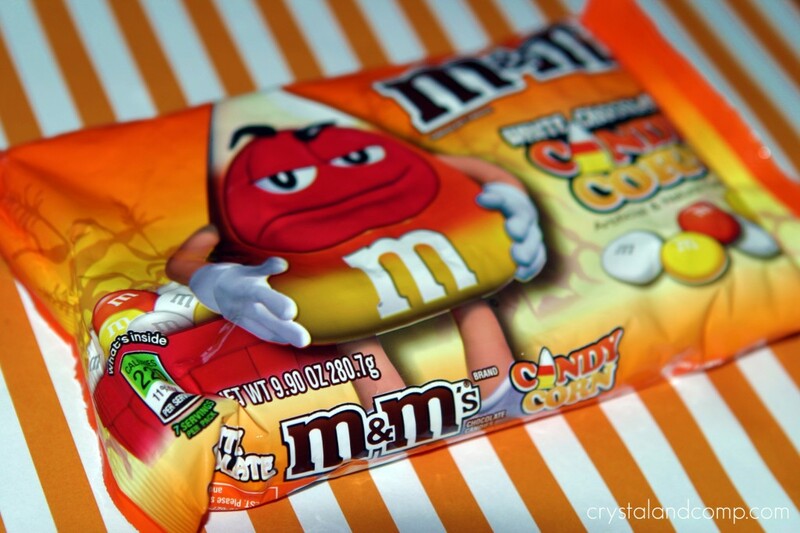 I LOVE the look of these candy corn M&M’s. I searched 4 stores before finally snagging them up at WalMart. You can also buy a bag of all orange (or any color) M&M’s at your local craft store. Or, use fall colored M& M’s, I found these at every store I went to. 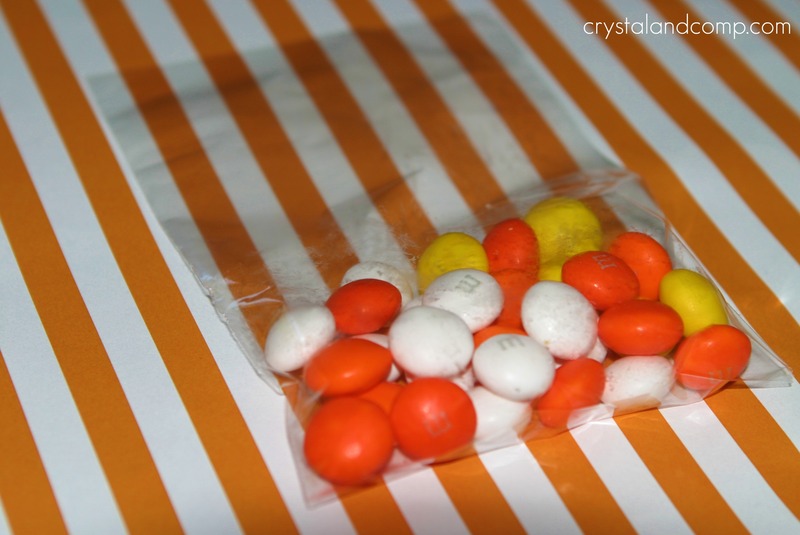 The bag contains only brown, burnt red and mustard orange candy pieces. I like the candy corn colors best. Fill a 4×6 cello bag half full. Grab your already cut out printbale. Staple it to the top of the cello bag. These would make perfect Halloween favors to send with your little ones to school- considering that people have a fun sense of humor. Alicia recently posted..Make it Monday! Again, SUPER CUTE!!! We’re totally going to make these for our Halloween party! Thanks!!! 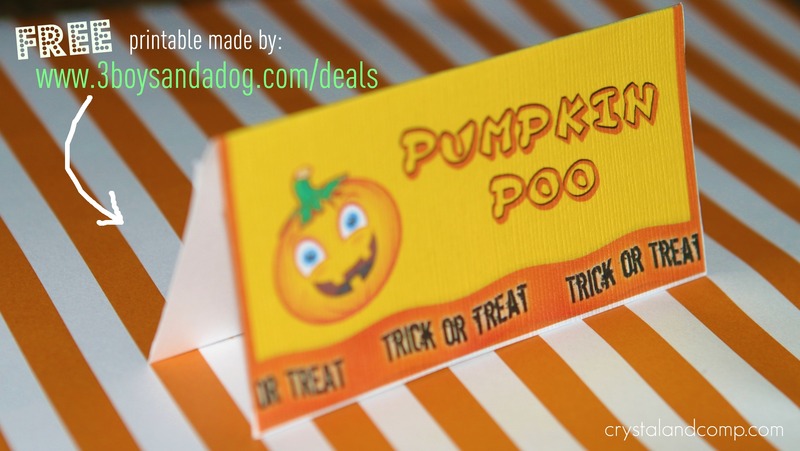 Haha…poop is always funny, especially pumpkin poop. Great craft! Would you share it here? This is such a cute idea and one that the kids could help with. If you get a chance come link up at my Pin Party. 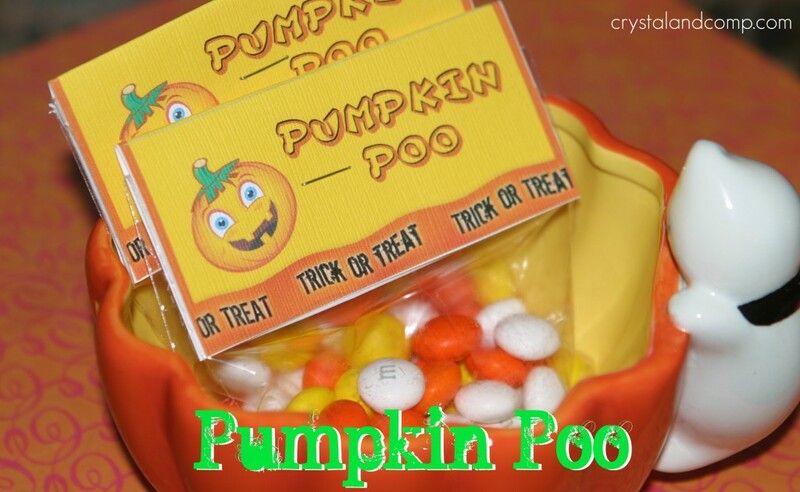 First ghost poo, and now pumpkin poo! Very cute! Love it! Haha! 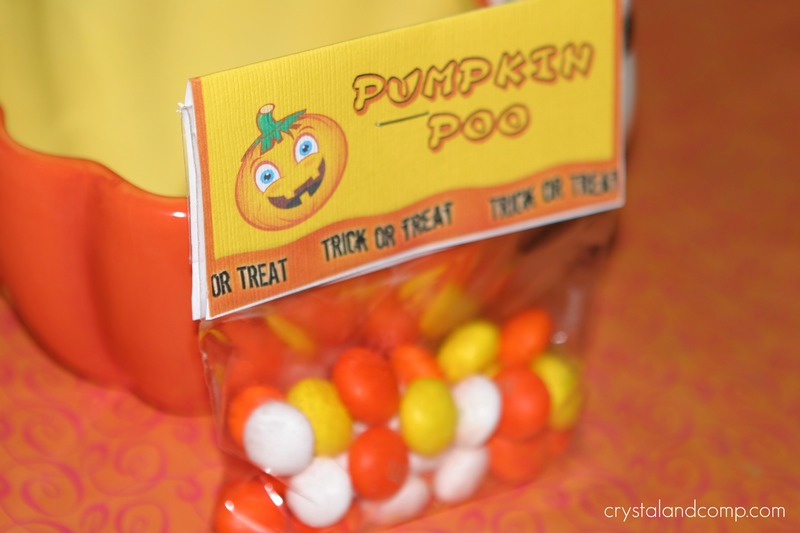 Pumpkin poo! My kids would laugh their heads off! Thanks for sharing! Cute idea for those, as you say, with that sense of humor–looks easy, too. Thanks for linking to Food on Fridays! So funny how kids love snacks called Poo. Thanks for sharing at Mom’s Library! Too fun, lol! Thanks for the printable, Crystal!